Vanity Fair sort of buried the lede in their exclusive interview with Kanye West, published this Thursday. Over 2,000 words into the article, they finally got around to asking the rapper/music producer/fashion designer the question that's been on everyone's minds since he announced at the VMAs in August that Kanye West will run for president in 2020: Was he actually being serious? Or was this just another of Kanye's trademark break-the-Internet-style boasts? His answer, when asked if he was actually considering running? "Oh, definitely." And ,as outrageous as the idea of "KANYE FOR PRESIDENT!" may seem at first, there are a few reasons why we should take Kanye seriously as a candidate. First of all, in a presidential race that already involves business mogul-slash-professional pumpkin lookalike Donald Trump, it's pretty much fair game for anyone to throw their hat into the ring. (Heck, if Jon Stewart announced today that he was running, I would cast my vote for him in a heartbeat.) While the eventual nominees on both sides of the aisle are still very much undecided — not to mention any Independents, which Kanye may very well run as — it's important to weigh each candidate's words very carefully. 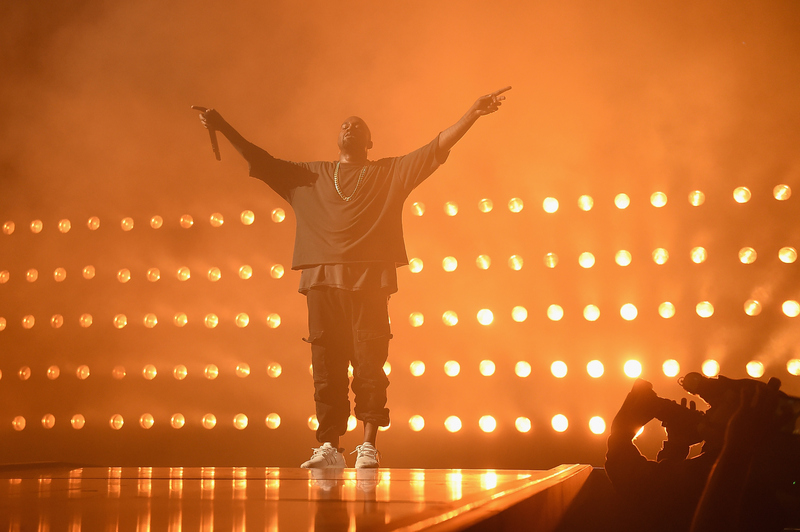 In that spirit, here — in his own words — are seven reasons we should take Kanye's candidacy seriously. 1. "My vision of life is that we have all of the information to live in a better world, but we’re always holding information back... In general the world is stingy with information. Information is the most important thing we have." Kanye is certainly right that the greatest threat to democracy is an uninformed electorate. Information-sharing, transparency, and education are some of the most important things our country needs to get back on track. 2. "I think that the world can be helped through design. Because we don’t just sit up there and read the f*cking [look] board. We look at it and we ask hours and hours and hours of questions, and the better people that you have in the room and the more information you have, the better opportunity you have of making a great decision and of creating a great proposal that people will connect to." Kanye is happy to admit that he does his best work when he surrounds himself with smart people who are good at their jobs. It's crucial that any potential President be willing to work with others and know when to delegate tasks. 3. "The idea of this separation and this gladiator battle takes away from the main focus that the world needs help and the world needs all the people in a position of power or influence to come together." The bitter divide between "left" and "right" is slowly destroying American politics. Could Kanye be just the person to bridge the gap? I just hope he brushes up on his handshake skills a bit before he reaches across the aisle. 4. "My dad has two masters degrees. My mom has a PhD, she used to work at Operation PUSH. Somehow the more and more creative I get, the closer and closer I get to who I was as a child. When I was a child, I was holding my mom’s hand at Operation PUSH. I think it’s time." Kanye's parents are brilliant people and hard workers; therefore, it his manifest destiny to lead the most powerful country in the world. In all seriousness, Operation PUSH (now known as Rainbow/PUSH since merging with the National Rainbow Coalition in 1996) is a terrific organization founded by Jesse Jackson devoted to civil rights and political activism. A background with PUSH is not bad experience for a potential President. 5. "We work on the collection year round, every day to the office, we have an amazing team, but then you have that seven days before the show where you just really, really don’t sleep..."
Kanye apparently doesn't need sleep like mere mortals. He's used to high-stress work environments and long hours, which will come in handy when assuming the highest office in the land. Obama reportedly rises at dawn each morning and often stays up until 1:00 a.m. or later. 6. "I hate politics. I’m not a politician at all. I care about the truth and I just care about human beings." Who says the President of the United States has to enjoy politics? Much more important that he just gets stuff done, don't you think? We don't need a leader who will play nice and try to appease both sides; we need someone who just cares about human beings... like Kanye! 7. "Sweatshirts are f*cking important. That might sound like the funniest quote ever. How can you say all this stuff about running for president in 2020 and then say sweatshirts are important? But they are." Damn straight. Sweatshirts are especially important when enjoying a brisk autumn morning while clutching a pumpkin spice latte in one hand and reading Kanye's Vanity Fair interview on your iPhone with the other. What would the world do without sweatshirts?